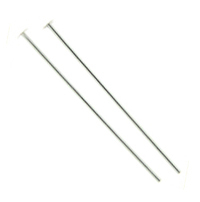 Silver Filled Headpins are a great alternative to Sterling Silver. Head pins are 24GA, 2 inch. Sold in packs of 50. Buy in larger quantities and save more.